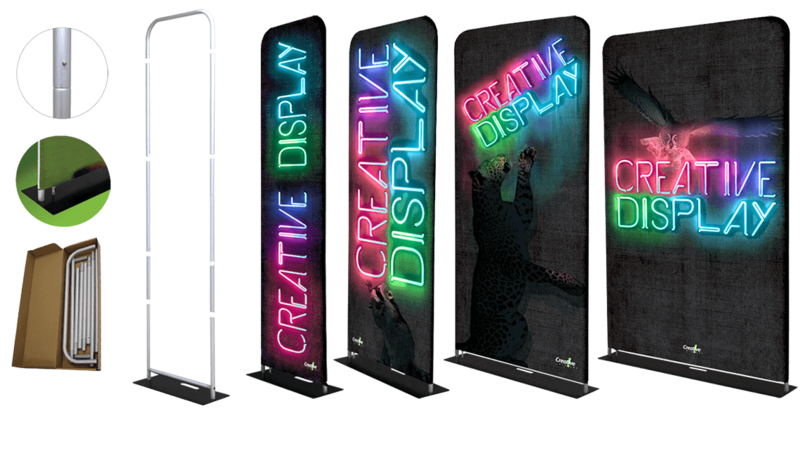 Tensioned Fabric displays combine portability with a striking graphic presentation. 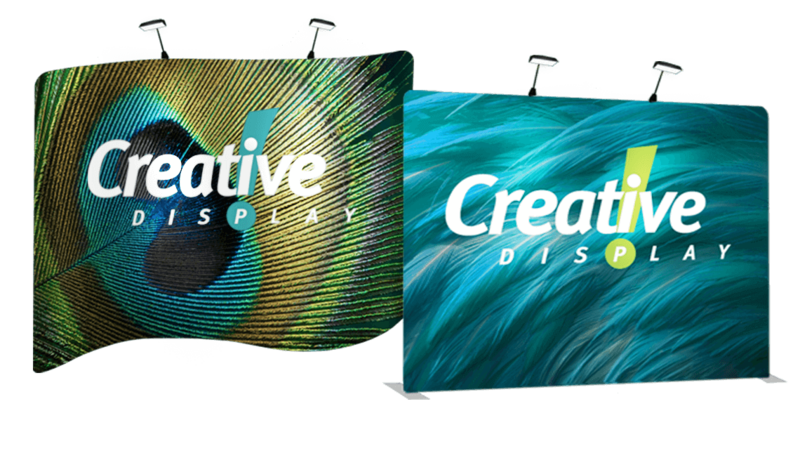 Bright & stunning, The Revolution’s silicone edged fabric graphic slides firmly into a lightweight collapsible frame. 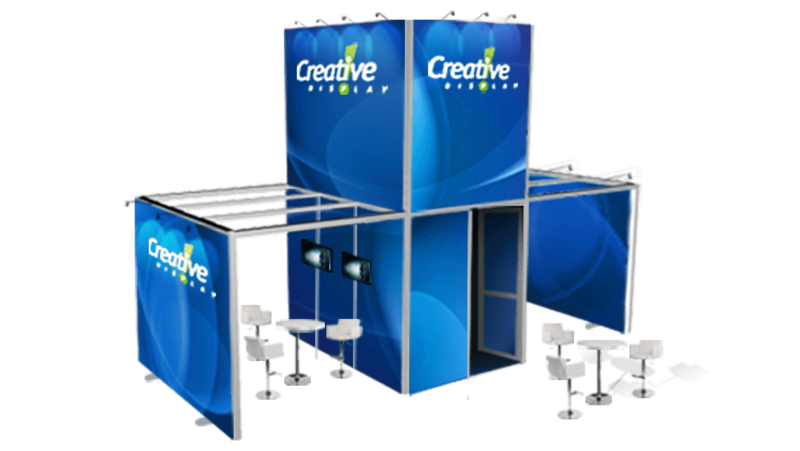 Create a custom booth of any size using a modular wall system. 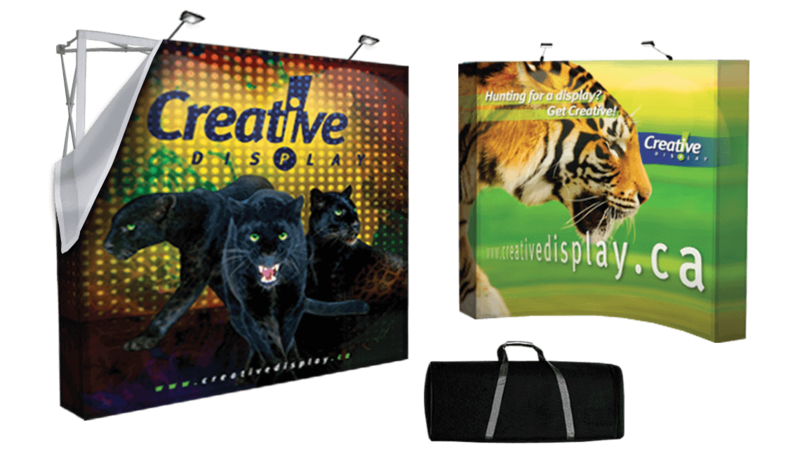 Combining lightweight aluminum framing with stunning fabric graphic inserts and/or overlays. 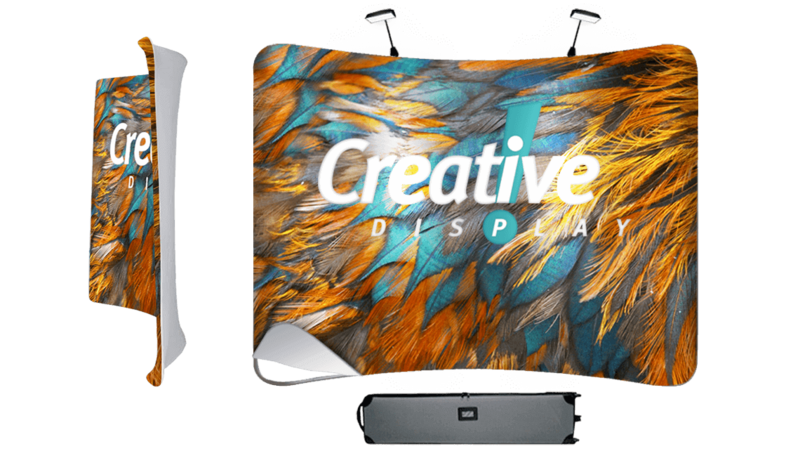 Light & easy to assemble, this striking display is constructed with an aluminum tubular frame covered with a fabric graphic which all conveniently pack down into a carry bag. 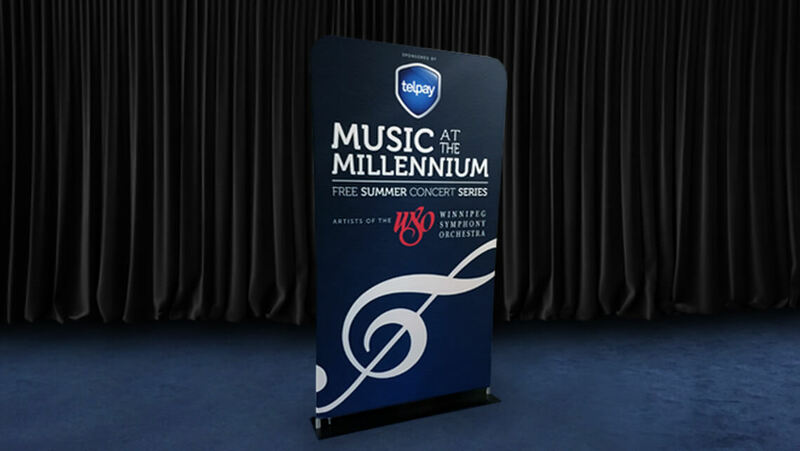 Constructed of an aluminum tubular frame, steel base and covered with a printed fabric graphic. 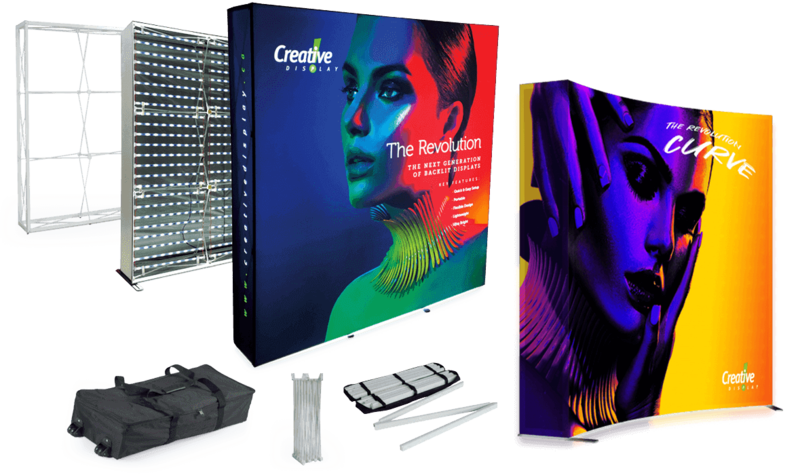 All conveniently packs down into a box (carry bag available). 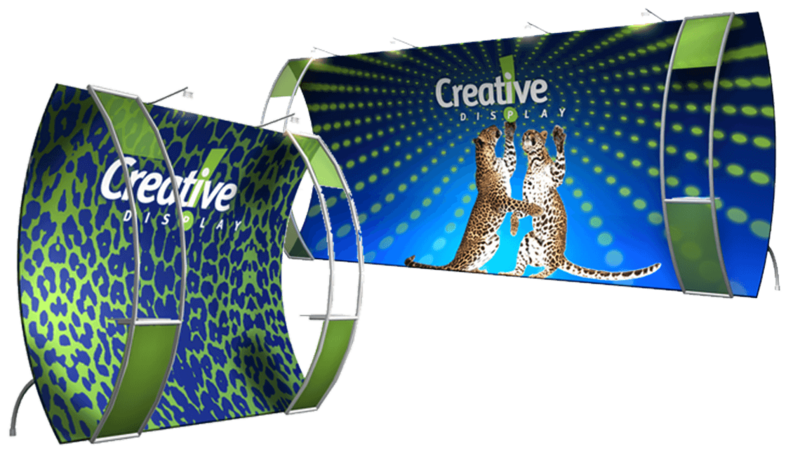 Lightweight tubular framed system with fabric wrap. 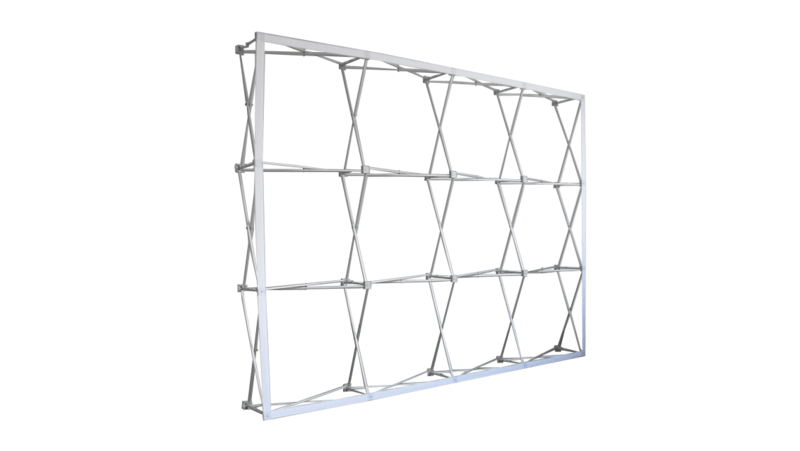 Available in Vertical or Horizontal curve. 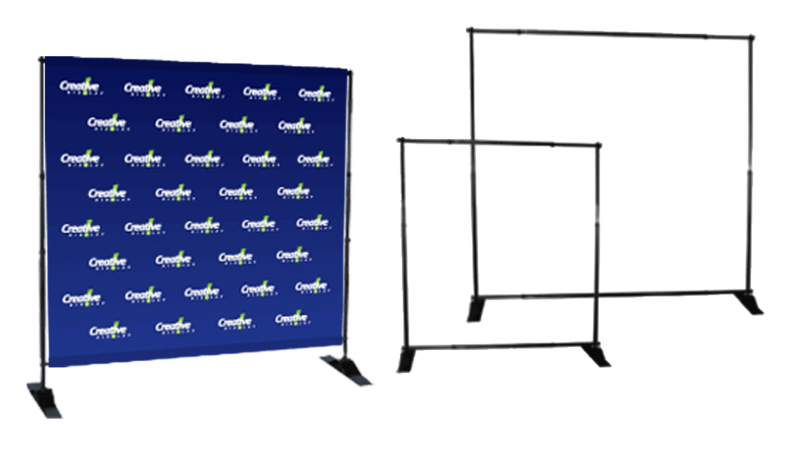 Add lights, standoffs, shelves, monitors & more. 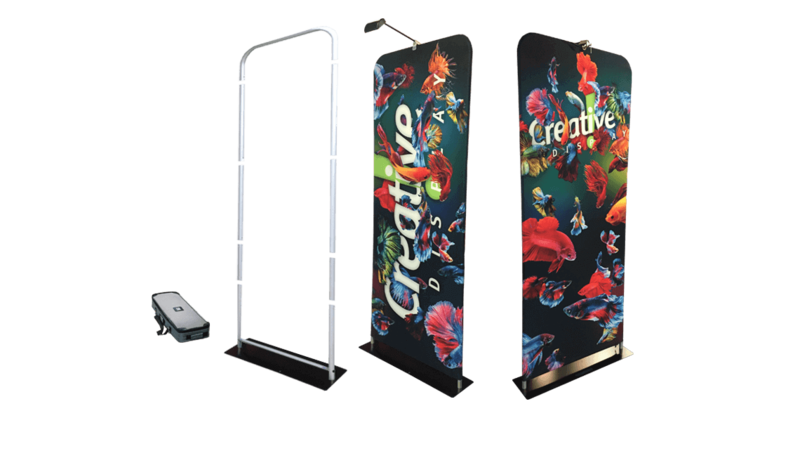 Telescopic Wall displays are adjustable, easy to set up and lightweight making them great for travel.